You are here: Home > Shop by Manufacturer > American Italian Pasta Co.
Heartland 100 Percent Spaghetti Whole Wheat - 10 Lb. Ravarino and Freschi Mini Penne Rigate - 10 Lb. Ravarino and Freschi Perciatell - 20 Lb. Heartland 100 Percent Whole Grain Rotini - 10 Lb. Heartland Gluten Free Penne - 12 Oz. 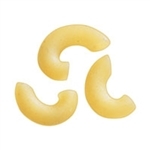 Heartland Gluten Free Fusilli - 12 Oz. Heartland 100 Percentage Whole Grain Elbows - 10 Lb. 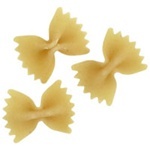 American Italian Pasta Trottole - 10 Lb. American Italian Pasta Gobetti - 20 Lb. American Italian Pasta Penne Rigate - 10 Lb. American Italian Pasta Fettuccine - 5 Lb. 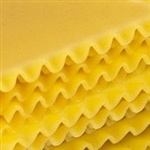 Ravarino And Freschi Lasagna Ridged - 20 in. 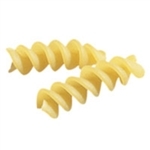 American Italian Pasta Smooth Elbow - 10 Lb. American Italian Pasta Cavatappi - 10 Lb. 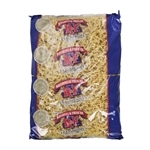 American Italian Pasta Rotini - 10 Lb. 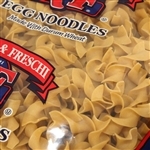 American Italian Pasta Medium Egg Noodles - 5 Lb. American Italian Pasta Spaghetti 20 in. - 20 Lb. 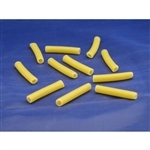 American Italian Pasta Heavy Wall Elbows - 10 Lb. Heartland Whole Grain Penne - 10 lb. 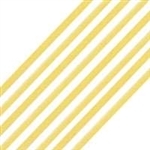 American Italian Pasta Company (AIPC) is North America's largest producer of dry pasta. 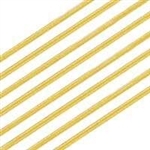 AIPC provides quality pasta and pasta food products consumed by the food service industry, including restaurants and cafeterias, schools, business and industry. Key food service brands include Heartland, Ravarino and Freschi (R & F) and Montalcino. 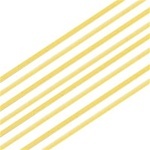 Pasta supplied by the American Italian Pasta Company adheres to both American and International Standards. It carefully selects its ingredients and follows strict manufacturing standards that comply with stringent government regulations. Like American-made past, American Italian Pasta Company incorporates iron, B vitamins and folic acid into the pasta making it one of the most nutritious foods one can ever buy. And as Italian law prescribes it, the dry pasta produced by the company is only made from drum sticks wheat flour or durum wheat. Refer to the section below for a list of American Italian Pasta Company's collection of pasta types. The company was founded by Richard C. Thompson in 1986 who declared during the early years of operation that he wants his pasta to be known as the finest in the world. In May 1990 the company became the first US Company allowed to sell pasta in Italy. 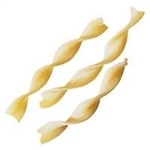 Presently, the manufacturing facilities of American Italian Pasta Company are capable of producing more than 600 million pounds of pasta per year in 80 dry pasta shapes. 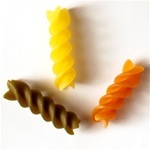 The company supplies quality dry pasta by incorporating qualities of American and Italian pasta. Just like other quality pasta available because it carefully selects its ingredients and follow strict manufacturing standards that comply with stringent government regulations. Like American-made pasta, American Italian Pasta Company incorporates folic acid, iron and other B vitamins making it one of the most nutritious foods one can ever buy. 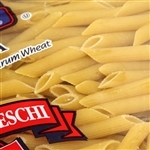 American Italian Pasta Company also adheres to Italian law that dry pasta can only be prepared from durum sticks wheat flour or durum wheat semolina. 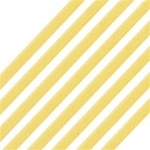 The mentioned flour have a yellow tinge and pasta made from such ingredients ensure that it will be cooked easily to ‘al dente’ (in Italian ‘firm to the bite’). The company provides different types of pasta and prepares noodles in a variety of thickness and shape including spaghetti, linguine, tagliatelle, fettucine, and penne. The company provides pasta from Heartland, Montalcino but majority come from (R & F). Pasta offered by American Italian Pasta Company is tasty, nutritious and sold at an affordable price that will truly satisfy you and your budget. Products are also available in one, five and ten pound package. One of its products, Heartland whole wheat spaghetti is made with 100 percent whole grain durum wheat which has a light to medium brown color. It has a hearty, nutty flavor and perfect choice for nearly any sauce. This product is certified by the American Heart Association, is an excellent fiber and whole grain source. Pasta is a great source of complex carbohydrates, vitamins and has a low glycemic index which makes it a health food. And since pasta produced by the American Italian Pasta Company is affordable and underwent stringent processing, consumers are assured to receive the essential nutrients when they need and through a sumptuous pasta meal.